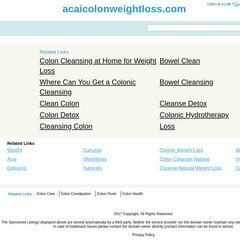 Topics: Where To Buy Acai Berry, Acai Berry, and Natural Colon Cleanser. The estimated 70 daily visitors, each view 1.20 pages on average. Theplanet.com Internet Services Inc (Texas, Houston) is the location of the Apache server. Its local IP address is 184.172.161.34. ns6.hostgator.com, and ns5.hostgator.com are its DNS Nameservers. PING (184.172.161.34) 56(84) bytes of data.